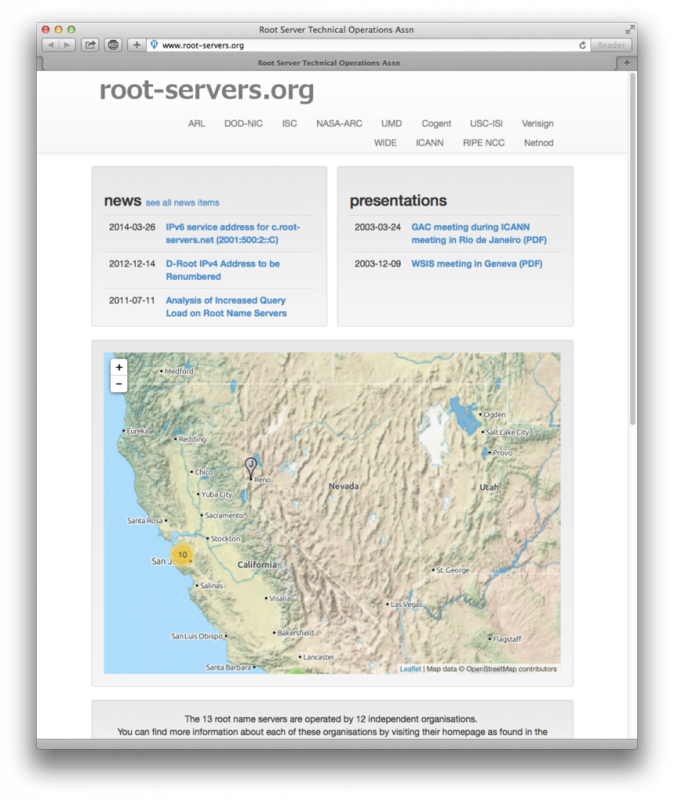 We recently noticed D Root is now on the map here in Reno with IPv4 and IPv6 prefixes thanks to peering with TahoeIX! That makes 5 roots, including prefixes for E (not mapped). First there was J Root and now Reno is home to three: J, K and L Roots. Access to the J, K, and L Roots are available through peering at TahoeIX and automatically to Roller Network customers since Rollernet already peers. TahoeIX also has prefixes for E root thanks to PCH, although it’s not indicated on the map. J Root should be turning up IPv6 soon, too. We’re on the map with J Root. Yep, that’s us in Reno. Access to J root is available through peering at TahoeIX and automatically to Roller Network customers since Rollernet already peers.